From the top of this mountain, you can revel in the breath-taking views of the amazing white ranges of Cordillera de Los Andes. You can get to Mendoza by many international flights (via Santiago de Chile (SCL) or Sao Paulo), by domestic flights from Buenos Aires and by bus from Buenos Aires or Santiago. 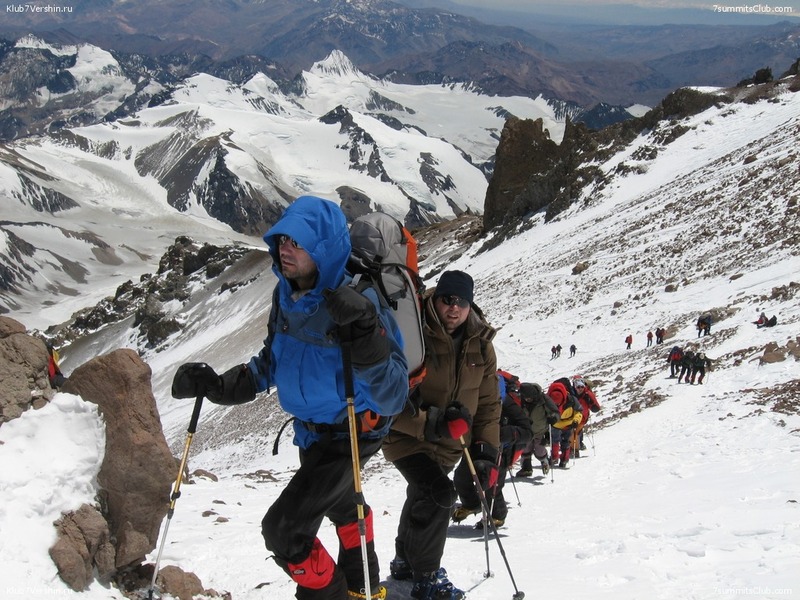 Permit (between USD 450 & 800, depending on your nationality and the start date of the climb), see http://formulariosambiente.mendoza.gov.ar/images/aconcagua/tarifas/TarifasPPA2018-19.pdf for the latest fees. There are several local gear shops with good gear, but in the high season many popular sizes and items can run out, so it is best to bring as much of your own gear as possible.